Top Ten Tuesday is a weekly meme held by The Broke and Bookish that asks readers to tell their top ten picks for the given list each week. Happy New Years everyone! I know that sometimes I definitely have books that I really want to read, but never end up getting to. These are the top ten books that I seriously don't want to forget this year. 1. The Girl of Fire and Thorns by Rae Carson- I've been wanting to read this book for ages. My best friend recommended it to me forever ago (I think it was around March-ish 2012) and I just never really got around to reading it. 2. Wither by Lauren DeStefano- another one I've been meaning to read for quite a while. 3. Birthmarked by Caragh M. O'Brian- I've heard this series is great and can't wait to read it. 4. 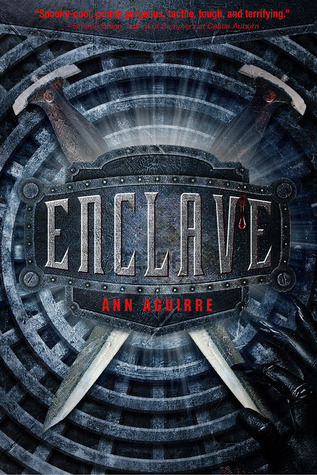 Enclave by Ann Aguirre- Well, for those of you who do not know, I write a pretty good bit. But rarely do I ever stick to a single story line. I usually abandon most of my novels by Chapter 5, merely because I get tired of writing them, the idea is similar to another book, or I think up something better. Well, this story kind of piques my interest because my best friend told me that it was very similar to a story that I was writing before. It made me definitely want to check this book out, and I just haven't yet. 5. Reckless by Cornelia Funke- I loved the Inkheart series and I can't wait to try out some more of her writing. 6. The Two Towers, The Return of the King, and The Hobbit by J.R.R. Tolkien- Well, I think it goes somewhat unsaid that any self respecting reader should read the LOTR series and the Hobbit. I started and finished The Fellowship of the Ring this year, but set it aside after that to take a breather. I want to finish these books this year. 7. 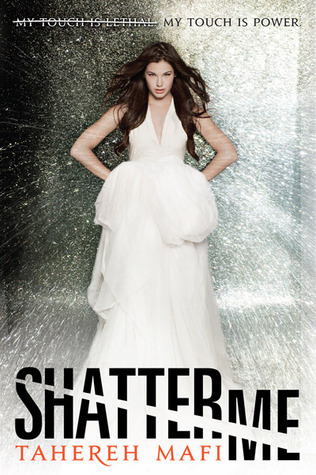 Shatter Me by Tahereh Mafi- Yet another one I planned to read ages ago but never got around to. 8. Article 5 by Kristen Simmons- I've heard this book is phenomenal, and I definitely can't wait to see what all they hype is about. 9. 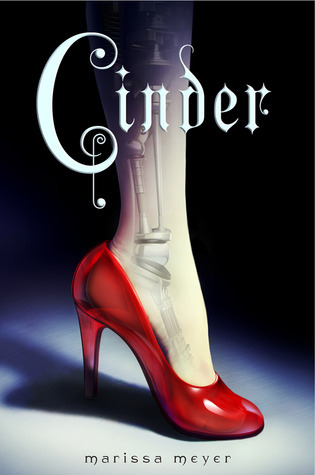 Cinder by Marissa Meyer- Growing up, Cinderella was always my favorite princess. Now, there's a Cinderella story with a YA twist? I'm in. I've heard it's great and I cannot wait to read this one. 10. Last, but not least of course, is Speechless by Hannah Harrington- I had this book on my TBR list long before it came out, patiently waiting for it, but sadly, it came out after I started this crazy school year and took a small break from reading. Now that I'm back, I definitely can't wait to read it! So, these are the top 10 for me, but believe me, there are many, many more. Do you have a top book that you are going to read in 2013? Almost all of these books are on my tbr pile! :) happy new year and happy reading! Happy new year to you as well! I checked out your list and loved it! Good list, Cinder was on my list as well and I've been wanting to read Wither for a while as well. Thank you! Yeah, I've been wanting to read them for quite some time now. Hopefully I'll get to them pretty soon. Haha all of the books on your list are also books that have been in my TBR pile, except Shatter Me. Great list. I haven't read anyone of them yet. will try to read them in 2013. I'm your new follower & happy 2013 to you ! :)I found you from Blogaholic Network ! Stay blessed and happy reading !!! Happy 2013 to you as well :) And yes, I aim to read them this year as well. I've heard they're all very good. I loved Enclave, Shatter Me, Wither, & Cinder. Article 5 was really good as well. :) I hope you get to all of these!